The rupee fell sharply by 32 paise at 66.37 against the US dollar in early trade at the Interbank Foreign Exchange due to month-end demand for the American currency from importers. Besides, sustained foreign capital outflows and a lower opening in domestic equity markets kept pressure on the rupee, forex dealers said. 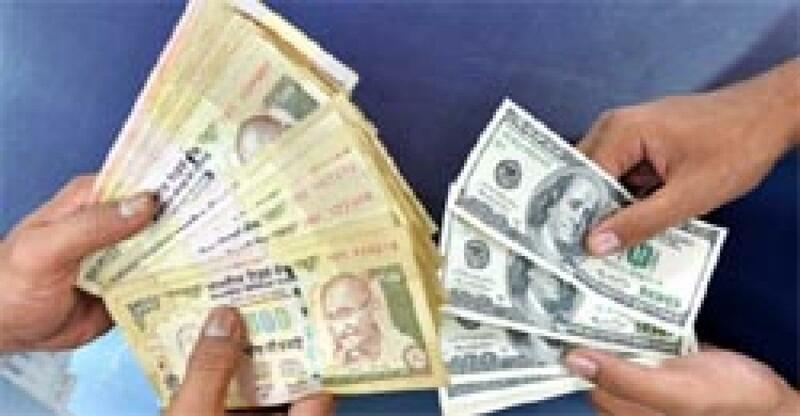 However, the dollar's weakness against other currencies overseas capped the losses, they added. The rupee had recovered by 11 paise to close at 66.05 against the US dollar in yesterday's trade on selling of the American currency by banks and exporters amid fall in equities. Meanwhile, the benchmark BSE Sensex tumbled 308.90 points, or 1.15 per cent, at 25,307.94 in early trade on September 29.